We are not building a native ad blocker with Microsoft Edge. What you are seeing is a reference to the work we’re already doing in bringing extensions to Microsoft Edge. It appears that the original report misrepresented a slide presented at a session at Microsoft’s Build conference, which referred to the company’s progress in building out Edge’s ability to support adblocking extensions such as those from developers like AdBlock andAdblock Plus. On the first day of its Build developer conference, Microsoft confirmed that it will bring adblocking capabilities into its Edge browser. The feature will be available in the next version of Edge, along with support for extensions — which it included in a preview build earlier this month — an integrated Bing translator as well as a list of previously visited pages you can navigate to from a menu tied to the back button. 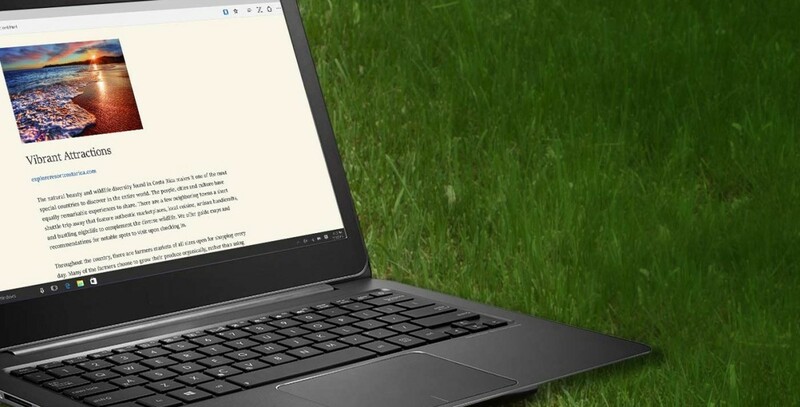 That will make Edge one of the few desktop browsers that natively supports ad-blocking: Opera’s latest developer edition and former Mozilla CTO Brendan Eich’s Brave also include this functionality. The move may not affect publishers much in the immediate future, given that Edge only accounts for a little over 1 percent of browsers used worldwide as of December 2015, according to SitePoint. But as Windows 10 continues to mature and roll out more widely to enterprise users, that figure is sure to grow because the built-in browser is the most common one to be deployed across company networks. As of last December, all versions of Microsoft’s Internet Explorer combined accounted for about 15 percent of browsers used across the globe. Edge will likely get close to that sort of market share over the next couple of years. We’ve contacted Microsoft to learn more and will update this post if we hear back.